Take the time to plan out how you will negotiate your salary. You will want to set aside enough time to research what you are worth, build up your confidence, learn as much as you can about your industry’s current trends and refocus the priorities in your life. Some things to consider include: qualifications, experience, economic and production value, social and people skills and network value. The first step in evaluating what you are worth is research. Let’s say you recently managed a project that brought in several thousand dollars for the company. Put together an analysis of everything that you have accomplished in that project: delegation of duties to your subordinates, time (including overtime hours), personal resources, network affiliations you brought in, and the results in numbers and internal improvements. You will need to know your own statistics in order to have negotiating power. Then, research what other project managers are making for similar work. You can check job listings on the U.S. Bureau of Labor Statistics website for the latest National Occupational Employment and Wage Estimates salary numbers. Look for similar job descriptions on the national and regional levels. 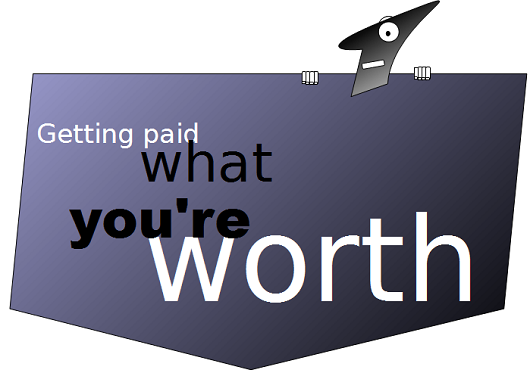 Once you compile a list of salaries, look at your own and see how it compares. One important habit in Stephen Covey’s book, Seven Habits Of Highly Effective People, is to “Seek First to Understand, Then to be Understood”. This simply means that you continue to develop your skills, always learning more, and hone your knowledge in your industry. Bringing in new information about the industry to your company and showing your boss that you are actively engaged in your job will only add to your confidence when negotiating for what you want. We often become stagnant in our jobs because we don’t seek outside challenges. In order to build confidence before you put your negotiating powers to work, take on a new challenge in your daily life. You might run a marathon or take a class that is outside your comfort zone. When you feel you have successfully collected enough material, present your results. Consider your history with the company and point out your achievements, resources and leadership characteristics. Support your claim with substantial documentation and records that prove beyond a shadow of a doubt that you are worth every penny of the salary you are negotiating for. Never stop trying to improve your situation. Even if you gave a spectacular presentation, your boss may still deny you a salary increase. Consider this a practice run. Take on a few more projects and do your best on them. Then try again. Always be professional and try to find out what you can do to improve the chances of a raise. Neda is a staff writer for NerdWallet, a website that helps consumers make smart financial decisions.